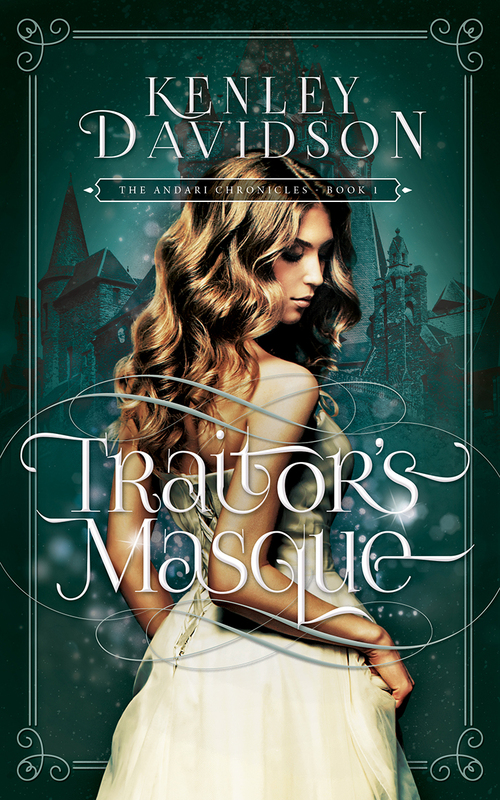 One of the best books I read recently happens to be Kenley Davidson’s debut novel, Traitor’s Masque. Today Kenley joins me to talk about what inspired the story and what’s coming next in the Andari Chronicles. What inspired you to write a retelling of the Cinderella story? Is there a version of the story you found particularly inspirational? I don’t know what this says about me, but I think what inspired me most was that I had never read a version of Cinderella that I could get very excited about. My kids had watched the animated movie several thousand times, and there was always that parental voice in my head that wanted to say to them, “No! This isn’t how love works. Please don’t actually choose a spouse this way!” So I think part of what drove me was an ambition to tell a story that is absolutely magical in a way that didn’t make me want to roll my eyes at the heroine. I should probably also blame the fact that I grew up on fairy tales. It was Robin McKinley’s books that first made me want to be a writer, when I read Beauty and The Blue Sword and discovered not only delightful adventures, but female main characters that I could actually relate to! You could say, in a sense, that it was Aerin and Harry and Beauty who were my first inspiration for Traitor’s Masque. Ha!! I should have known you were a McKinley fan. Those are two of my favorites as well. And I agree with you about growing up watching the Cinderella movies. It’s never been my favorite story, probably for all the reasons you mentioned. In looking at your other novels, I see that you’ve continued to retell fairytales in the same story-world as Traitor’s Masque. (I love this idea!) Are you working on a fourth fairytale now? Are you able to share anything about your current project? I actually have two more that are currently in the early stages of development, meaning that I’m plotting them out in my head. Fortunately my family is willing to put up with me muttering and occasionally laughing to myself while I do this. Book 4 is most likely going to be a retelling of Snow White, which I intend to be a short novel, much like Goldheart. Given that I am not very good at “short” books, I offer this information tentatively, and with great reservations. I can promise that Book 4 will feature characters from all three previous books. Book 5, which at this point is looking like a retelling of Beauty and the Beast, is definitely going to tend more towards the ginormous and dramatic, and will have recurring characters from Traitor’s Masque and Pirouette. At the moment I’m trying to tell myself that I’m going to take a break from the past six months of pushing the publishing schedule too hard, but I don’t think my writer brain is going to cooperate — too many stories to tell! It seems like fairytale retellings are really popular right now. With so many authors retelling these classic stories, is there a fairytale that you feel gets overlooked today? There are so many great fairy tales, but some are simply much more difficult than others to retell — to somehow maintain the shape of the original while making it unique, deeply real and culturally palatable for modern readers. I have always loved both “Snow White and Rose Red” and “Bear-skin” (yeah, not sure what it is with the bear theme) but haven’t figured out yet how to retell them in a way I’m excited about. I know there are a few versions of those out there, but not nearly as many as some of the more popular tales. What’s your favorite moment from Traitor’s Masque? That might be like asking me to pick a favorite book (one of my least favorite questions ever… how do I even begin to choose???). As a writer, I enjoyed the moments of high tension and character confrontation the most, especially the scene at the top of the stairs at Westhaven. But, as a reader, I think my absolute favorite moment is in the final chapter, where Trystan is asking for forgiveness. There are so many opportunities there for both characters to choose an easy way out, or to choose to protect themselves at the expense of the other’s pain, but they don’t. That scene, to me, is the most romantic part of the whole book and it still makes me sigh a little when I read it. One of my favorite things about Traitor’s Masque was that it wasn’t simply a regurgitation of the Cinderella story. I loved the elements of intrigue and the tension between the two princes. What inspired you to create Rowan as a sort of warped Prince Charming? Honestly, Rowan just happened. Initially, I knew I needed an antagonist that would be more of a threat than the ubiquitous stepmother. Cinderella is often a very passive character, and the most dramatic thing that happens to her is being locked in her room. I really wanted for her to experience more of a challenge, and to do more than wait for her fairy godmother to fix things. I also wanted “the prince” to be a strong character in his own right, which meant he needed some conflict in his life as well. Rowan sort of appeared on the page fully-formed, though I didn’t realize until later that he would be a big part of what tied the whole series together. Horribly enough, he is an incredibly fun character to write, and in some ways, he’s as much the Trickster as the Villain. Oooh. I didn’t even think about him appearing in later stories. He definitely kept things lively and added a lot of tension. I never knew exactly what he was going to say next. I loved his entrance at the ball. What do you hope readers take away from Traitor’s Masque? For me, this was a book about what it really means to grow up. Falling in love and happily ever afters are great, but Trystan and Ramsey’s story isn’t primarily about their romance, it’s about their mistakes. Everybody makes them, but it’s what we do with them afterwards that matters. If there’s one thing I would want my own kids to take away from this story, it would be this: take responsibility for your mistakes. Learn from them, but don’t let them define you or shame you. And always remember that even our worst mistakes can be a part of something beautiful that we never would have seen coming! That’s a great take-away and a great life lesson. What are some of your favorite recent reads and what made them stand out to you? I wish I could say I’d read a lot of amazing new books recently, but, sadly, that would be a lie. The ugly truth? When I’m stressed, I comfort-read old favorites. It’s kind of like wrapping up in a blanket and hanging out with a friend. The book I’m currently re-reading is The Scorpio Races by Maggie Stiefvater, not because it’s comforting, but because it reminds me what words are capable of. That book has so much beauty and complexity in its details, in its prose, in its relationships, a beauty that I think is even more evident because of the starkness of the setting. After I read a book like this, I feel simultaneously humbled by the fact that there are people who can do such glorious things with words, and encouraged to work harder at my own writing because so much beauty is possible. That’s an awesome list. YES to all that you said about Scorpio Races, especially. And thanks for being here today! Kenley Davidson is a story-lover, word-nerd and incurable introvert who is most likely to be found either writing or hiding somewhere with a book. A native Oregonian, Kenley now resides in Oklahoma, where she persists in remaining a devoted pluviophile. Addictions include coffee, roller coasters, more coffee, researching random facts, and reading the dictionary (which is way more fun than it sounds). A majority of her time is spent being mom to two kids and two dogs while inventing reasons not to do laundry (most of which seem to involve books). 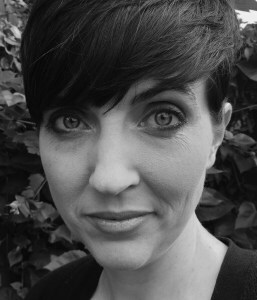 Tagged Author Interview, Cinderella, Fairytale Retellings, Inspiration, Kenley Davidson. Bookmark the permalink.